With most of DC’s heavy hitters getting their due on the big screen, it was only a matter of time before Warner Bros. began mining the low-tier depths of the publisher’s superhero roster. 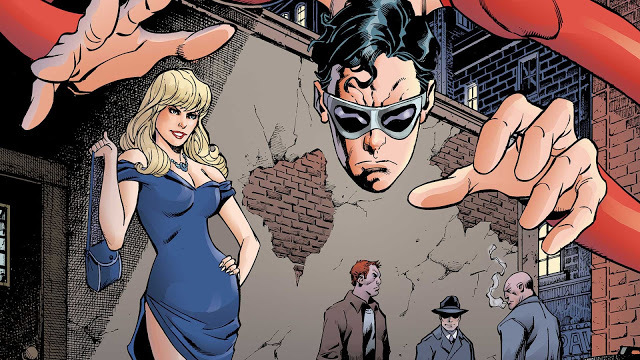 According to Deadline, the studio has placed a film centering on Plastic Man into early development. Plastic Man fist appeared in 1941 before he was acquired by DC in 1956. He’s the alter-ego of Patrick “Eel” O’Brian, a former criminal known for his safecracking skills. During a failed heist at a chemical plant, O’Brian was shot in the shoulder, doused in a mysterious acid, and left behind by his fellow gang members. There have been two versions of what happened next. In the first, O’Brian escaped to the mountains and was cared for by a monk. Touched by the monk’s act of kindness, he vowed to use his newfound elastic abilities to help the innocent. Following 1985’s Crisis on Infinite Earths, writer Phil Foglio retconned the character’s origin in a four-issue miniseries. After the accident at the plant, O’Brian was so horrified by his emerging superpowers that he contemplated suicide by jumping off a bridge. A former Arkham Asylum inmate, Woozy Winks, talked him out of these plans and the two subsequently became partners in their fight against crime. The report indicates that the film hasn’t officially been greenlit yet. However, Warner Bros. has tapped Amanda Idoko to write the screenplay. Her sole screenwriting credit is for the upcoming film Breaking News in Yuba County. Tate Taylor (The Help) is directing that film, which stars Laura Dern and Allison Janney. Are you excited for a Plastic Man film to make its way to the DC Extended Universe? Who would you cast in the title role? Tell us what you think in the comment section below! Tags: dc, DC Extended Universe, Plastic Man, warner bros.